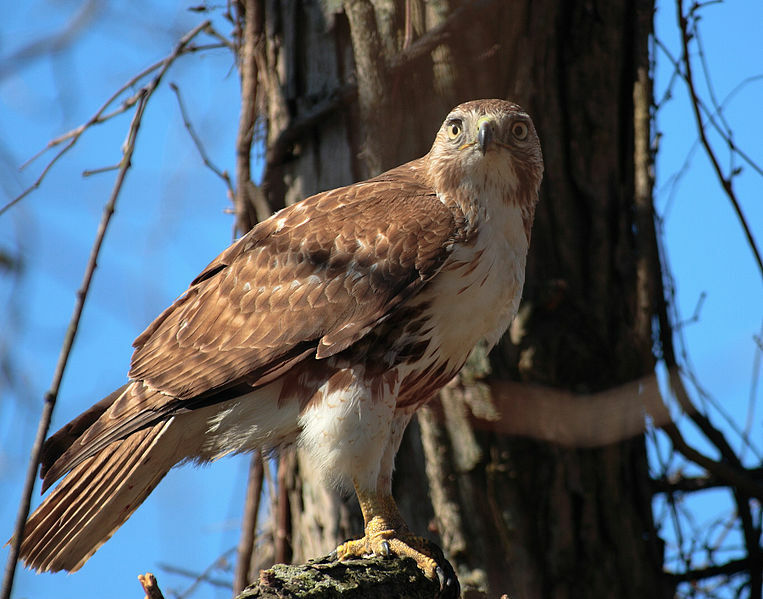 CONCORD – The Red-tailed Hawk had a successful second act before the House of Representatives on Wednesday as lawmakers approved naming the bird the state raptor. Four years ago, a nearly identical bill proposed by fourth graders from the Lincoln H. Akerman School in Hampton Falls was killed by the House while drawing national attention. As the then-fourth-graders sat in the gallery of Representatives Hall at the time, then-Rep. Warren Groen, R-Rochester, used the occasion to express his views on abortion by describing how the hawk hunts. “It grasps them with its talons and then uses its razor-sharp beak to rip its victims to shreds, to basically tear it apart limb by limb, and I guess the shame about making this a state bird is it would serve as a much better mascot for Planned Parenthood,” Groen said. Several other House members expressed frustration with similar bills saying they take time away from the serious business of the legislature. On Wednesday, current House Speaker Steve Shurtleff, D-Concord, characterized the situation four years ago as not the House’s finest hour. Instead on Wednesday, speakers praised the current eighth-graders who were again sitting in the gallery as lawmakers discussed House Bill 280. A sponsor of both bills, Rep. Renny Cushing, D-Hampton, said he was impressed with the students as fourth graders when they told him one of the reasons they wanted to make the Red-tailed Hawk the state raptor was because both parents participate in raising their offspring, and again four years later. He said one eighth-grader told him four years ago he did not understand what Planned Parenthood was, but now he can say what the representative did was really inappropriate. Cushing praised the class’s tenacity and perseverance. However, one lawmaker spoke against the bill urging the students to become passionate about an issue other than a state symbol. Christy Bartlett, D-Concord, noted the state has dozens of official symbols because of bills like HB 280, noting the Red-tailed Hawk is common throughout the country and not unique to New Hampshire. She said each bill costs about $1,000 to produce, yet only about 20 percent pass. “There are issues where you could testify and make a real difference,” Bartlett told the students, noting bills on coyote hunting and student transportation were on the agenda. “You must have many issues of interest,” she noted, saying she would invite the students back next year to participate in one of those areas. The bill passed on a 333-11 vote and now goes to the Senate. Also on Wednesday, the House passed a joint concurrent resolution 192-162 to urge Congress to adopt a policy renouncing first use of nuclear weapons. Opponents to HJCR 7 said it was political and would be an embarrassment to the state. Rep. Al Baldasaro, R-Londonderry, said former President George W. Bush’s threat to use nuclear weapons against Iraq stopped the use of chemical weapons against the US military in Operation Desert Shield. But Rep. Joshua Adjutant, D-Ashland, said “no first strike” has been the de facto policy of the United States and other countries for some time. He noted when Saddam Hussein was believed to have weapons of mass destruction, Bush chose not to use the nuclear option against his country. Adjutant said former President Ronald Reagan loathed nuclear weapons and suggested House members do the same. But when asked if he believed President Truman did the right thing using nuclear weapons to end World War II, Adjutant declined to answer. A joint current resolution has the weight of law for the remainder of the two-year session, if both the House and Senate approve it.